Bing ads have some powerful advantages that others simply not have. A really wonderful image of “Bing ads growth” has painted this past year. Bing grew to 19.7% of the US search market share and Yahoo reached 10% increase in paid search clicks over the past year. Bing ads at that time have good conversion rates, this translates to a higher return on investment. Bing controls 33% of the US search engine market. So this point is clear why Bing ads have so much allure to marketers. How Is Bing ads good for advertising for your small business? Bing ads are an advertising service provided by Bing that works at a pay per click on both Bing and Yahoo search engines. It service provided by Microsoft. 1- More than 45 millions audience who are using Bing completely as a searching option. 2 – Bing offers one line description with a maximum of 71 characters, now it allows 80 characters in one longer description field. 3- Offers a keyword research toll, broad match, and negative keyword targeting. 4- Bing ads have less competition for advertisers bidding. So clicks are cheaper, and advertisers get more for their dollar. 5- Advertiser can set budget or adjust daily on Bing. 6- Ad placement on Bing, AOL, and Yahoo! Search engines, so when you advertise on one platform, your ad is actually seen on three. 7- There is no minimum fee. Sign up for free and start advertising with any budget. 8- Test keywords, bids, and timing to make the most of your Return on investment. 9- Pay for when customers click on your ad. No click, no charges. 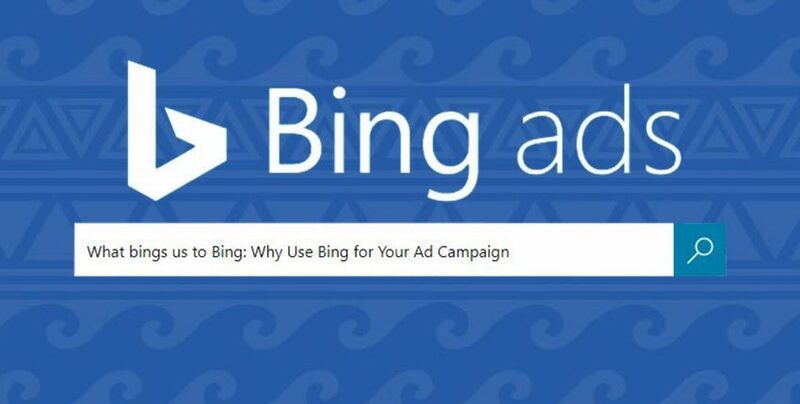 10- Bing ads gives more granular control option at the campaign and ad group levels by allowing to quickly adjust a setting for a particular ad group without going through the creating a brand new campaign to make the change. 11- Have better social extensions by showing Twitter followers an advertiser next to their ads. 12- Bing allows users the flexibility of targeting audience of Bing and Yahoo, just search partners, or both at the group level. There are more than a few reasons to accept that Bing is always better for advertising. Bing ads have a much lower cost per click. More flexible, it has more option in what you can advertise as well as how many characters you can use for your as titles. Bing ads have better customer service plan that they are more available at more times. Bing allows two advertise networks-“Bing Search Networks” and “Bing Content Network”. It doesn’t have more expertise in Google Adwords. Conclusion-Bing ads offer a lot of advantages which not other offers. It has been an effective marketing channel that boasting higher position, CTR, and lower CPCs. The click-through rates are a most important factor in defining, your ads are effective or not. The click-through rates are much higher on Bing. A better placing and a lower CPC makes Bing ad more budget alert advertiser on a forum. We make all effort to provide our visitors correct information, but the third party may change their offers without any notice. We use affiliate links in our website which give US monetary benefits. All third party trade marks are the property of respective third party company. The presence of thirty party trade mark does not mean any kind of endorsement or partnership.